A cartoon by Paul Conrad, then of The Los Angeles Times, circa 1982, when I was the editorial cartoonist (and a number of other things as well) at the Corvallis Gazette-Times. 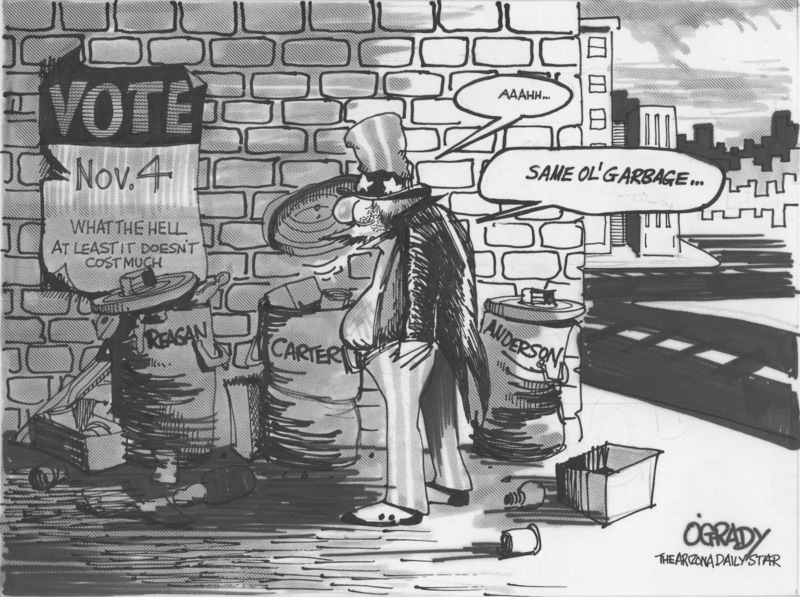 Editorial cartoonist Paul Conrad died today at age 86. 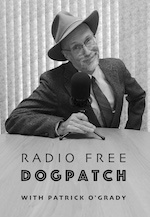 He was one of the greats, deflating blowhards with a stroke of his razor-sharp pen, and won three Pulitzers for his mastery of the art. His first came at The Denver Post, where if memory serves he was succeeded by the even more acerbic Pat Oliphant. Conrad also won himself a spot on Nixon’s famous enemies list. I met Oliphant once, at the Fine Arts Center here in Bibleburg, back when I was working for the Gazette. But I never met Conrad. 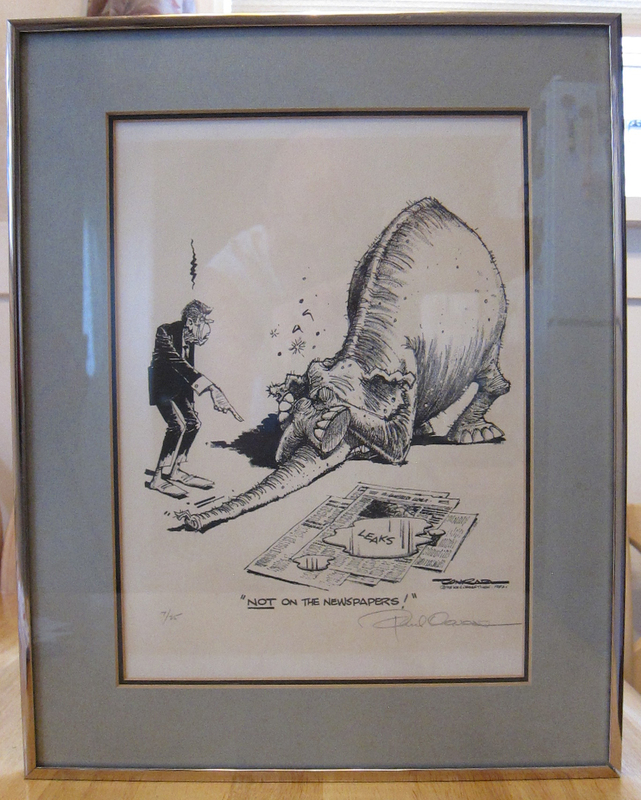 However, I do have a signed print of one of his cartoons, a nice rap in the tusks for the Elefinks from when he worked for The Los Angeles Times.